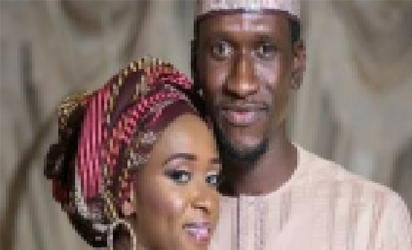 ABUJA – Accused of throwing a lavish first birthday party for her daughter, Aleesha while her husband’s family mourn, Maryam Sanda who is standing trial for the alleged murder of her husband, Bilyamin Bello has fired back at critics, accusing them of being hell-bent on destroying the innocent child. In a statement mailed to Vanguard, Monday in Abuja, Aisha Sanda who spoke on behalf of the family, equally attached pictures to buttress the family’s stand. Speaking further, the family said; “Let us start by saying that the pictures shared on social media of Maryam Sanda and her beautiful daughter Aleesha which were claimed to have been taken on Aleesha’s birthday is false. Just by mere comparison of recent and old pictures of the little girl, it will become apparent that Aleesha was a lot younger at the time when the picture was taken. (For the purpose of clarity, the picture in question was taken on the 8th of July, 2017 when Aleesha was only 5 months old as it is our family tradition to take her pictures every month). We have attached the photos showing dates from the studio with a time stamp. “What sort of birthday party could have been organized without children and other party guests? The photo-shoot was an in-house event and the picture was only sent to Aleesha’s paternal Aunt Kilo in Kebbi state. It is however strange to us how anybody (especially those who pretend to love and care for Aleesha) would have maliciously misrepresented the story and even sold it to the media with such caption and message. It is unfortunate that none of those media houses (not Vanguard) reached out to us to ask questions before jumping on such wicked misinformation as has been the pattern ever since the death of Aleesha’s father. “We understand that everybody wants justice; we too want justice but we will appreciate if the innocent girl is left out of the problems, lies and deceits of adults while her mother goes through the process which has already commenced”. The post I didn’t throw party for my daughter, Maryam Sanda fires back appeared first on Vanguard News.